Ticks—those unbreakable, blood-lusting arthropods that haunt your summer camp memories—have some fascinating genetic secrets. The tick genome tells a tale of weaponized spit, expandable armor, and how to drink 100 times one’s body weight in blood. Strangest of all, it’s utterly enormous. Hill would know: she helped decode it all, in a massive analysis published today in Nature Communications. 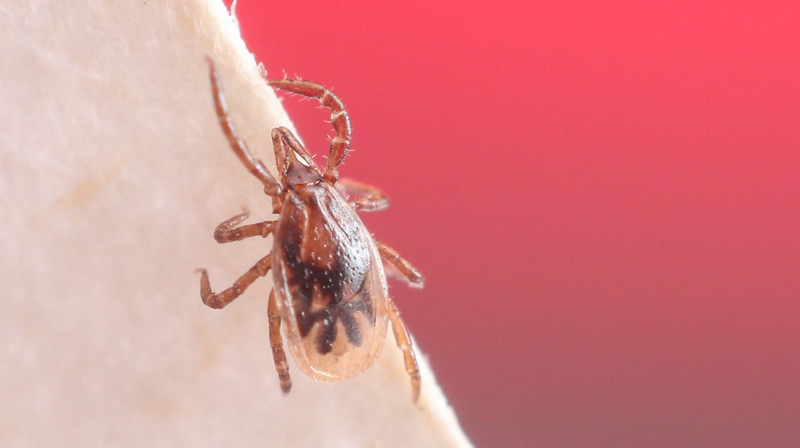 The study, which took ten years and involved nearly 100 researchers, reveals the weird and fascinating DNA behind Ixodes scapularis, the infamous blacklegged tick that spreads Lyme disease across the eastern United States. Now that we’ve cracked its genetic code, we’re one step closer to defeating the tenacious parasite. Like the crunchy arthropod itself, the I. scapularis genome was not easy to break into. “It’s been challenging every step of the way,” Hill said, noting that ticks have a very long, complex life cycle, and are difficult to grow in the lab. What’s more, I. scapularis’ genome is big and diverse—which meant scientists had to sequence, analyze, and piece together hundreds of individual genetic libraries to build an accurate picture of the species. “That took a huge team of people and a lot of computational power,” Hill said. Other aspects of the I. scapularis genome are also offering insights into the parasite’s fascinating biology. Tick saliva, for instance, is a cornucopia of pharmaceuticals, containing thousands of antimicrobials, analgesics, blood thinners, and immune suppressors. We’re not yet sure what each of these individual compounds does, but the net result is clear: an unmatched ability to feast, undetected, on the blood of many different organisms, for days on end. Armed with its genome, researchers can create genetically modified strains of I. scapularis that are unable to express certain salivary proteins. This could help us identify—and halt—specific processes that are critical to bloodfeeding. There are many directions Hill and her colleagues hope to take this research next, including drilling down into the mechanics of the most interesting, unique, and heavily duplicated genes to figure out what, exactly, has led to I. scapularis’ evolutionary success. They also want to begin decoding the genomes of other species of ticks and mites.